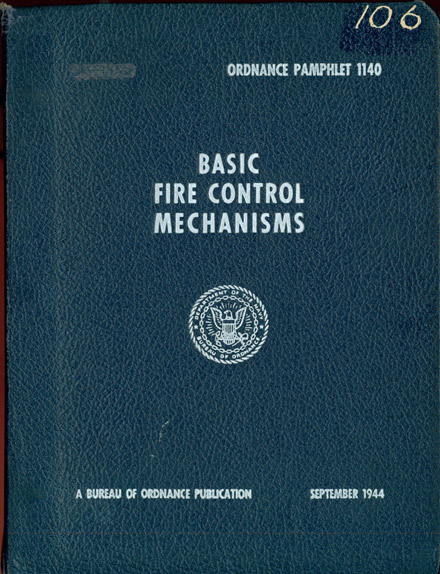 Basic Fire Control Mechanisms, OP 1140, 1944, describes the mechanical computing elements used in U.S. Navy fire control systems. These components are the building blocks of some of the most successful analog mechanical computers ever built. This online version of the manual is provided in PDF format. This means that the files are large and you consider saving them to your local hard disk for repeated viewings to avoid long downloads. Copyright © 2007-2008, Historic Naval Ships Association.